EE customers will be able to access BT Sport before the start of the next football season in the first major crossover of services since the merger. Initially available to 4G pay monthly customers on the EE network. Customers of the network operator will be offered a deal on access to the Sport channels with more details to be revealed over the summer. BT has made great strides in the TV market acquiring a number of high profile sports rights that have challenged the sectors dominant force Sky. 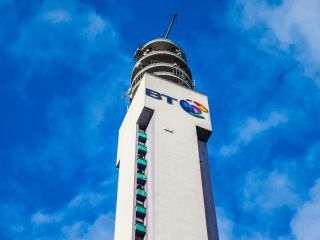 The fact that BT is now planning to use its assets in the TV market to increase EE’s customer base demonstrates the early stages of a converged quad-play offering. It applies greater pressure to rivals Sky and the likes of Vodafone who have spoken in the past about providing a complete suite of services. Last week BT announced its first set of results since the takeover of EE completed. As well as demonstrating that the integration would be cheaper than expected EE continued to grow its total and post-paid customers to 30.6 million and 15.4 million respectively.